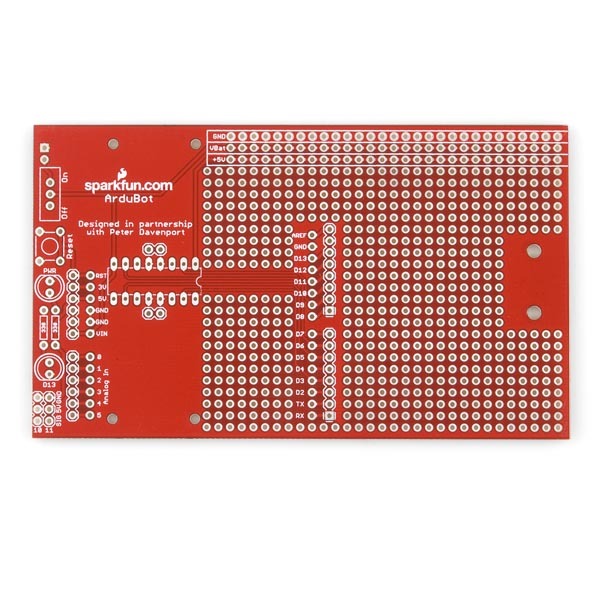 The new version of the Ardubot PCB breaks out all the Arduino pins to a separate row of headers. It also includes spaces for LEDs, a reset switch, and servo headers. Note: We are working on updating the pictures to show a built kit with the new board. Note: This product is a collaboration with Peter Davenport. A portion of each sales goes back to them for product support and continued development. This is retired. Who was its replacement? This doesn't really have any direct replacements, but check out the shadow chassis and/or the redbot kit. Is this intended to be powered by a single supply? Shouldn't the motors be powered separately? I assume the power header is used to power both the Arduino and motors, but would powering the Arduino using the barrel-jack work? The uno will not require any extra steps. It is actually pictured in the snapshot of the assembled robot. 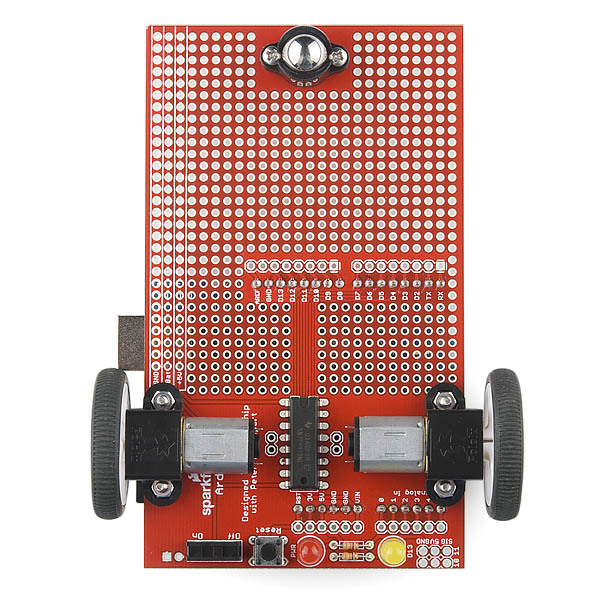 Would it make more sense to mount the yellow and red LEDs upside down so they are visible while the robot is running? 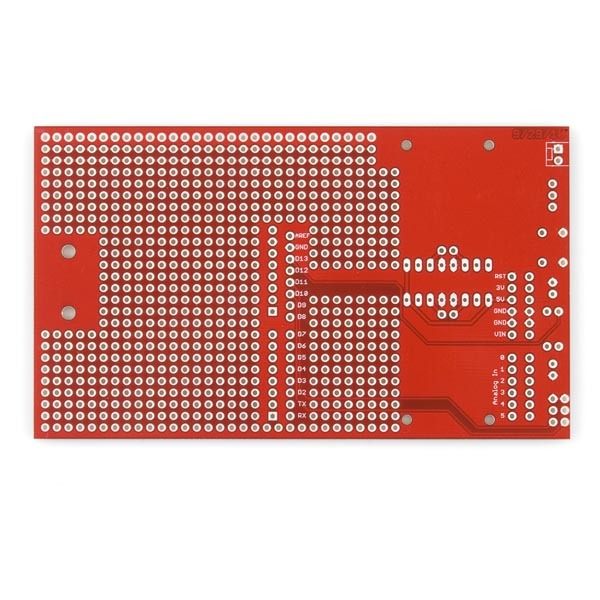 Since this is a kit you can solder it together with the LEDs on top or the bottom. 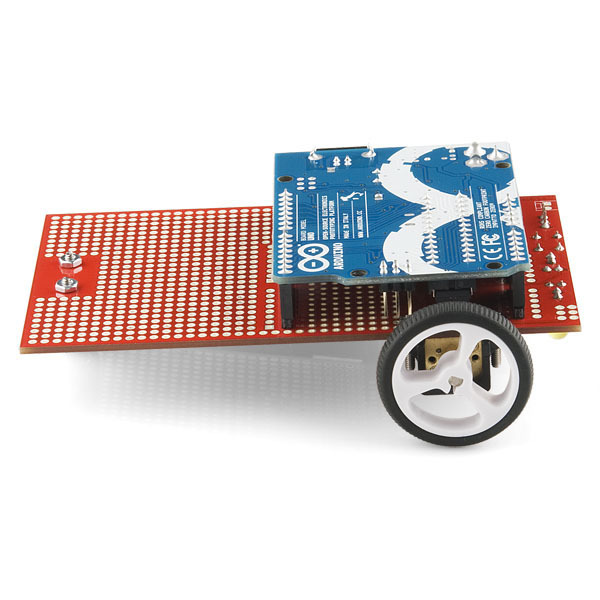 Did you move the arduino mounting a bit more forward so the USB connector won't snag a wheel like what happened in the tutorial? 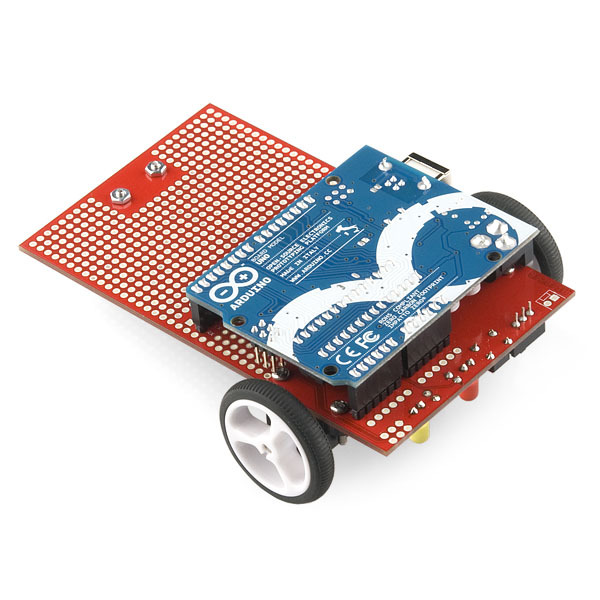 On this new version of the Ardubot PCB there is no conflict between the Arduino USB connector and wheel, use the recommended 32x7mm wheel size and there should be no trouble. But still the Arduino ICSP programming header hits one of the mounting screws for one of the motors, to fix this problem reduce the height of the screwhead by 1 mm using a flat metal file. Thanks, I wish they would either update the schematic or at least put a comment saying it is outdated, I thought I was going nuts until I read your post. It would have been nice to bring the analog pins over to the edge of the prototyping area, but overall this is a big improvement. PWM has always been supported.